Please add our email support@horologyboard.com and/or domain horologyboard.com into your whitelist to make sure emails are not filtered or blocked. If you have registered but have not received your activation email, please check you spam/junk folder. If you still cannot find your email to activate your account, please Contact Us. Thank you. Such beautiful watches i have seen on this post, my mind is like sell rolex watch that i have and got one vintage. Horology Board is a community of watch enthusiasts and horologists. 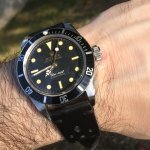 This board is a place to discuss, learn, and grow knowledge on watches. Here at Horology Board, we do not judge on a watch, be it a genuine, a homage, or a replica watch.